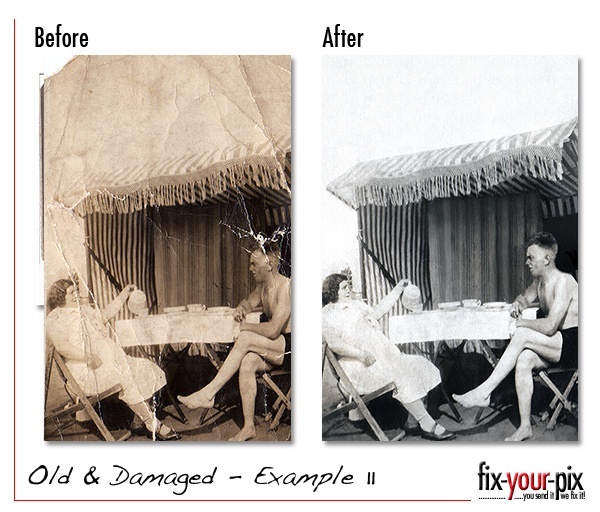 If you want to repair damaged photos but have not idea how to go about it maybe Fix Your Pix can help. 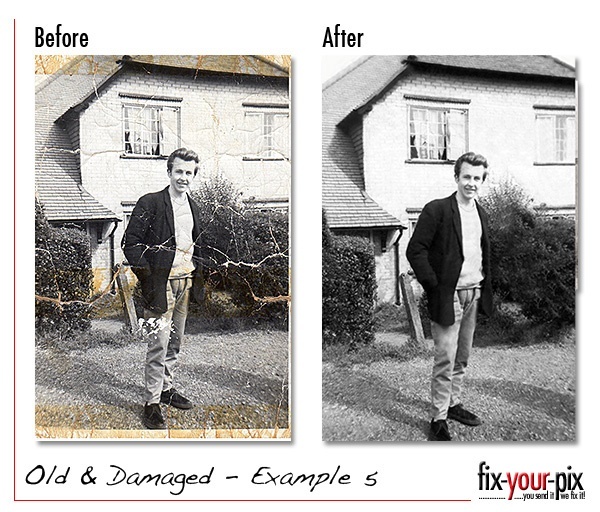 Have you any old damaged photographs that are worn, faded or discoloured? Well maybe Fix Your Pix can be of assistance. 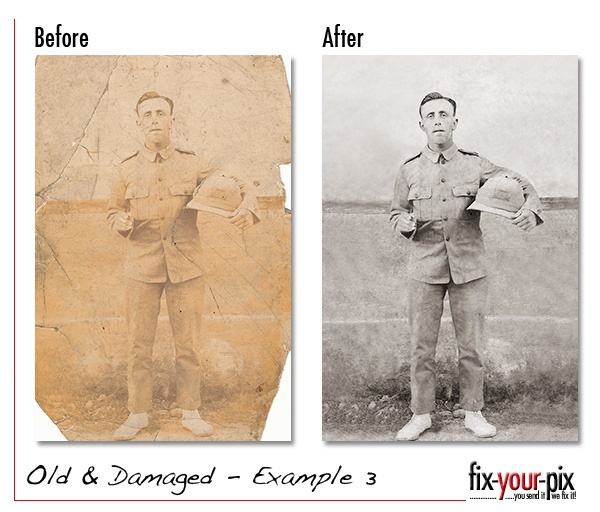 Fix Your Pix have helped many people repair damaged photos in various states of disrepair over the years. 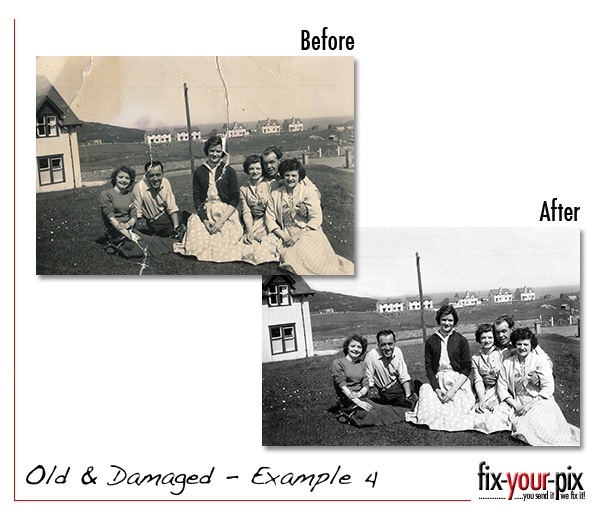 These examples illustrate what can be achieved to repair your photos back to there former glory. 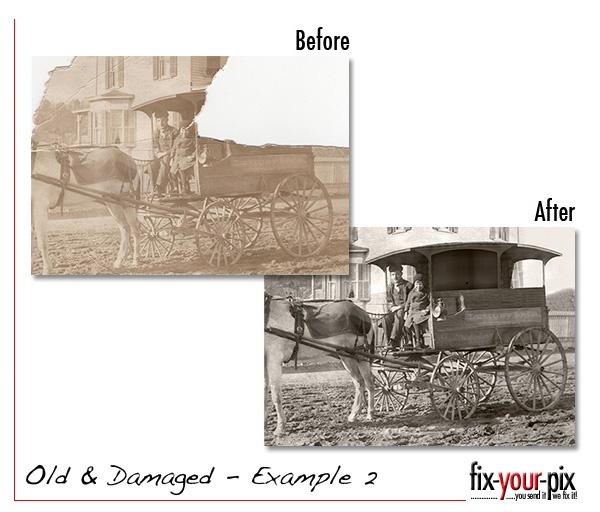 Fix Your Pix have many years experience and many examples of old damaged photos. 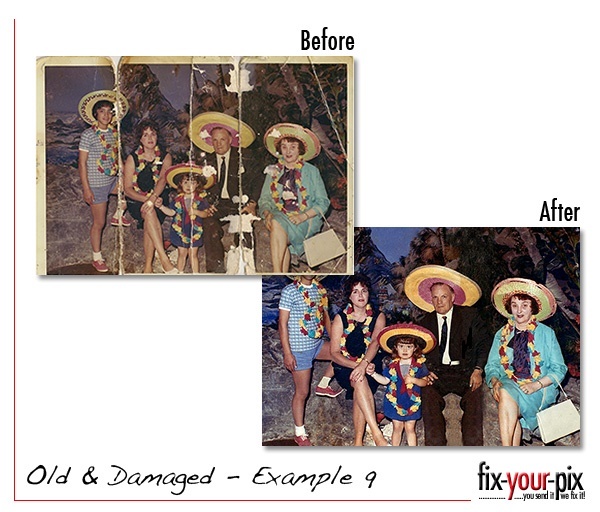 We can show you with the photo examples below the various ways over the years we have been able to repair damaged photos and the end results we have achieved. 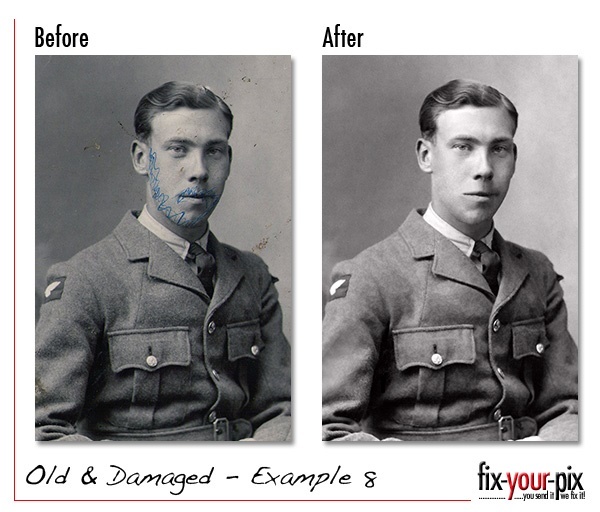 It could be anything from a simple torn photograph through to a badly faded photograph as you can see from some of the examples below. 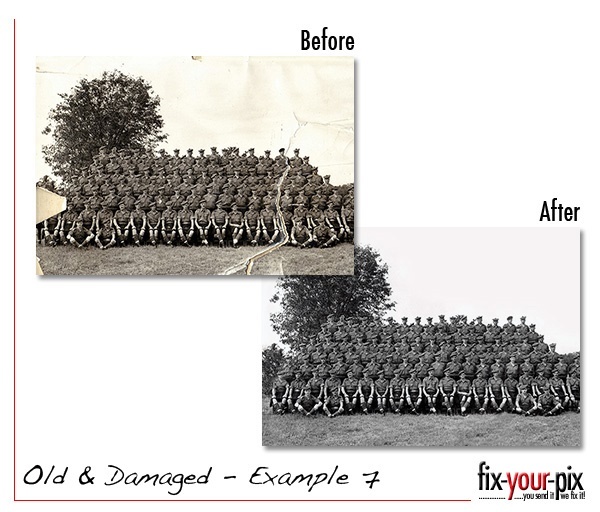 On occasion with particularly badly damaged photographs, we have even rebuilt whole sections of an image to recreate the original photo and to the delight of our customers. Some requests are stranger than others and maybe involve family politics ie removing someone from a scene, we never ask, but are delighted when we get the full backstory as to why a photo needs altering in a certain way. 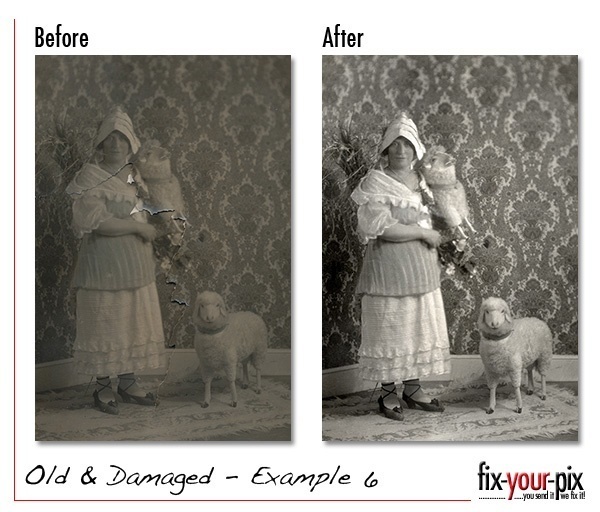 It takes some skill and some time to repair damaged photos. 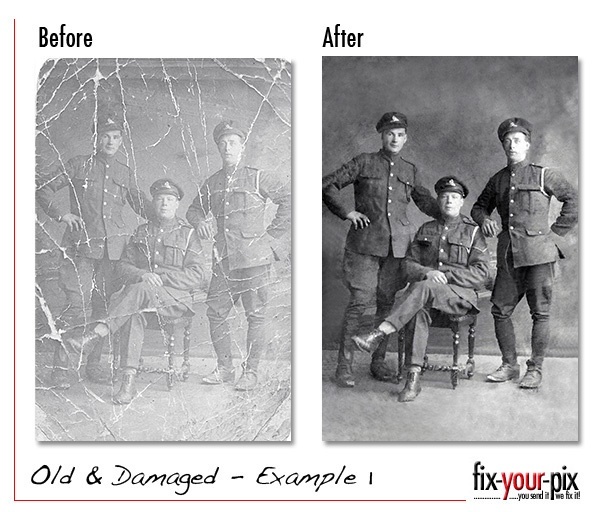 Fix Your Pix are able to quote on a job for cost and time taken to repair the photograph and once approved we can have the repaired photograph back to the customer within 24 hours if not quicker. There is then a simple process of approval and payment and the final image is returned to the client as good as the day it was taken. 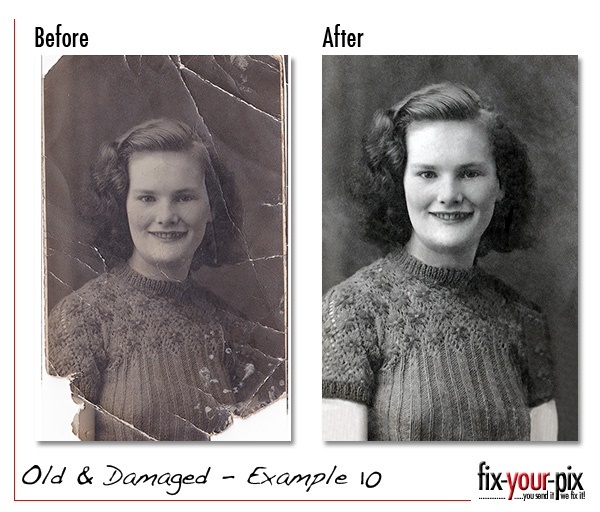 If you want to start the process of reviving your old photographs then just click HERE and upload your image.